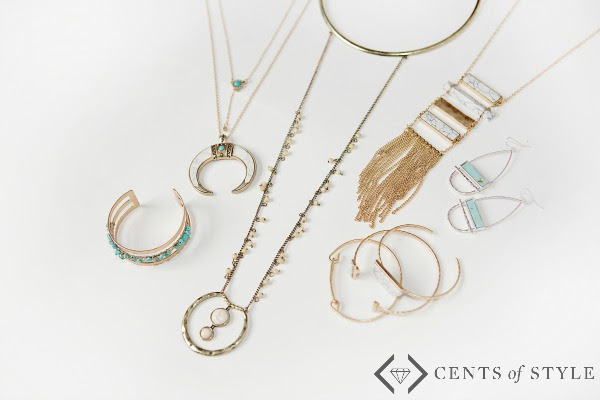 For Style Steals Monday, Cents of Style is working on bringing you trends at an affordable price. These two lovely pieces are sure to be the highlight of your fashion accessories! 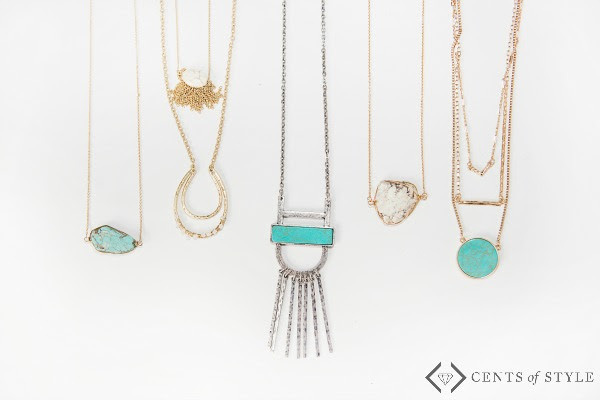 The Turquoise is a classic tradition that is a trend for generations to come. The Marble is sleek, new and modern. 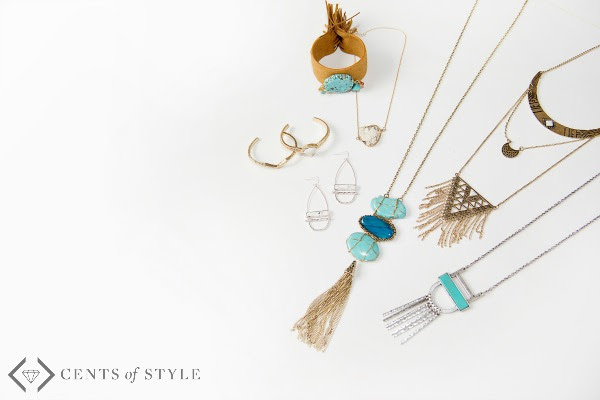 For Style Steals Monday, June 13th, our Marble and Turquoise jewelry for 50% off & FREE SHIPPING w/code NEWJEWELS. 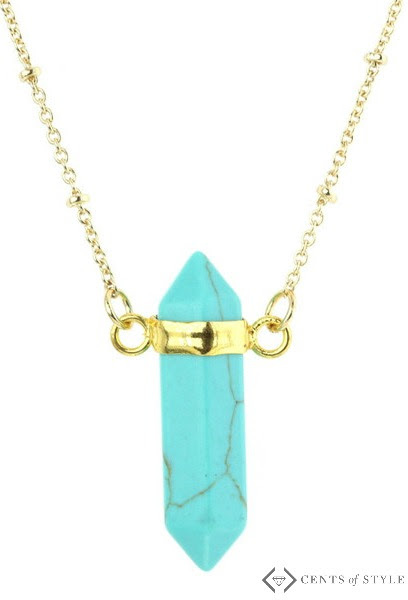 Style Steals – 6/13/16 – Modern Marble or Traditional Turquoise Jewelry for 50% Off + FREE SHIPPING w/code NEWJEWELS. Also, keep an eye out for Cents of Styles Stone & Hammered Bangles, Three Strand Pendant Necklace, Stone Pendant Necklace. Additionally, at checkout Cents of Style will be offering their plaid infinity scarf for $3.99. It’s a great lightweight, Summer scarf and will match both your turquoise and marble jewelry. I love the traditional Turquoise jewelry! It’s so beautiful! Which one speaks to you? Traditional Turquoise or the Modern? I’d love to hear which one speaks to you in the comments below!